MOTHER’S DAY is coming right up and we have a great gift for mom AND you! Get the album mom’s missing in her collection and get yourself that one you’re missing – for free! 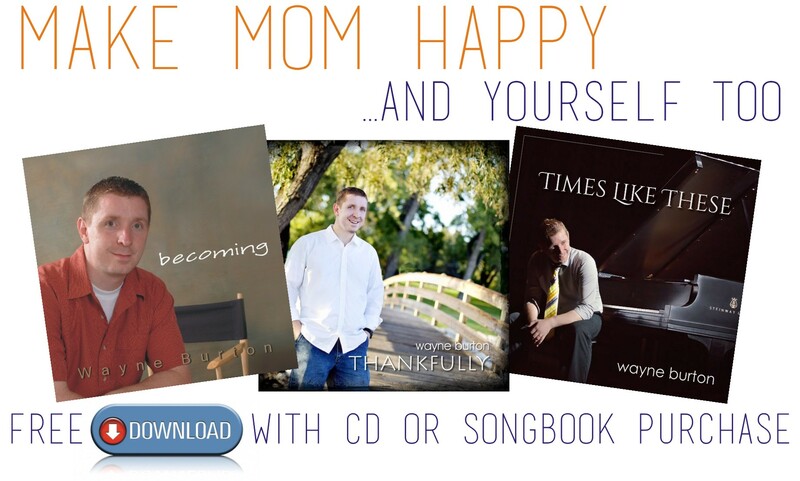 For every CD or Songbook purchased from Wayne’s six albums, get 1 album download free! At time of purchase please enter the album download you want for free, in the comment box. Go to the “store” tab for your Mother’s Day selection!